Pulled Pork. Aren’t those some magical words? Pulled freaking pork. Please. Yes. It’s relatively easy to make too. I find the hardest decision to make is how to consume it. 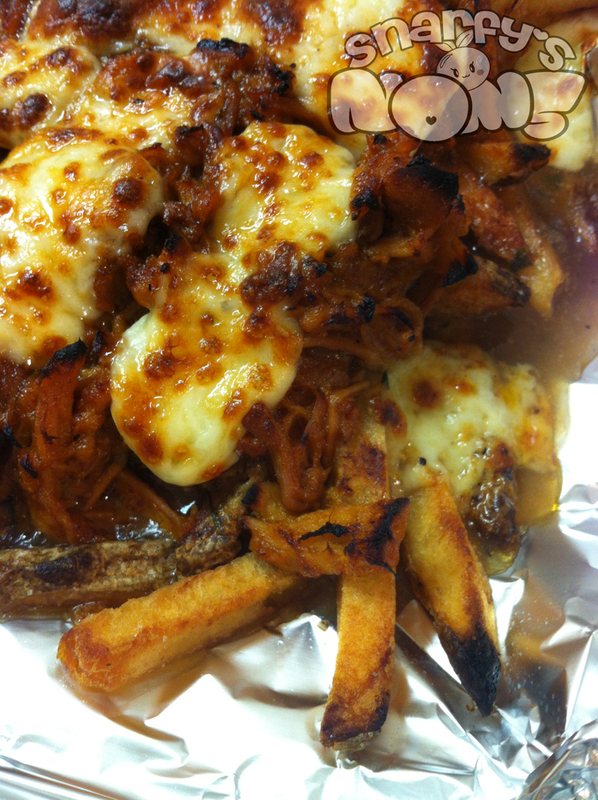 It was suggested that I turn the pulled pork into pulled pork poutine (thanks Lustymaid!) so that’s what I had for dinner. Arc also wanted sliders though. I think he was planning on having a food baby. 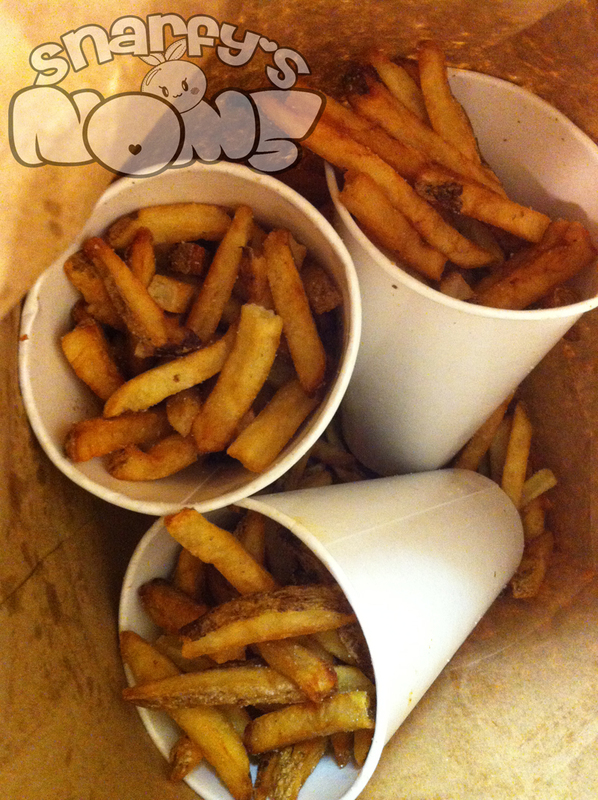 So the main recipe here is the pulled pork recipe, but I’ll include instructions for how I made the poutine. Sliders are easy: get some Hawaiian rolls and slap some pulled pork in there. Serve with cole slaw. Done. Pull out your crockpot and get that pork in there. Cover it in sauce. This might only take one jar of sauce, it might take two. But make sure that most of the roast is covered in sauce. You’ll need it later anyway. Set your crockpot to low and let it cook for 6-8 hours. You can do high for 4-5 hours, but the meat is a lot more tender if you can give it more time at a lower temp. If you don’t have a crockpot, you can simulate this in an oven. 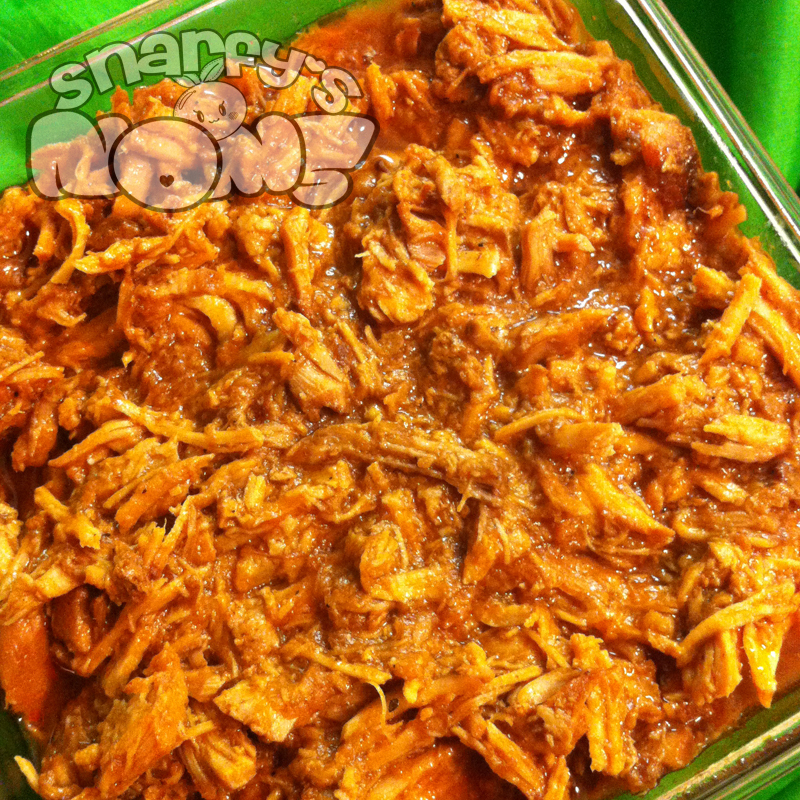 Put the pork in a tall casserole or oven safe pot and add your sauce. Cover and cook in a lowish temp oven (325 deg F) until it’s cooked. Temp your meat to make sure it’s done – it should read 165 deg F on an instant read thermometer. I haven’t cooked a pork roast this way for quite some time, so I have no idea how long it will take, but be sure to budget some time. If you actually try it this way, let me know in the comments how long it took. Once the meat is cooked, shred it up with two forks. I find it easiest to take the meat out of the crock pot and do this in a large bowl without the sauce. Then I add it back into the sauce for serving. If you’re wondering what my preferred barbecue sauce is, it’s totally Loco Lolo‘s. Our family friend is the man behind this sauce and it’s sooooooo good. I *might* have helped him test and develop a new flavor, which was actually the one I used for this batch of pulled pork (mango jalapeño). You can order online here, and if you’re lucky enough to live in the Seattle area, you can pick up some bottles at a few places like Double DD Meats. Follow Loco Lolo on Facebook to find out about tasting events too. 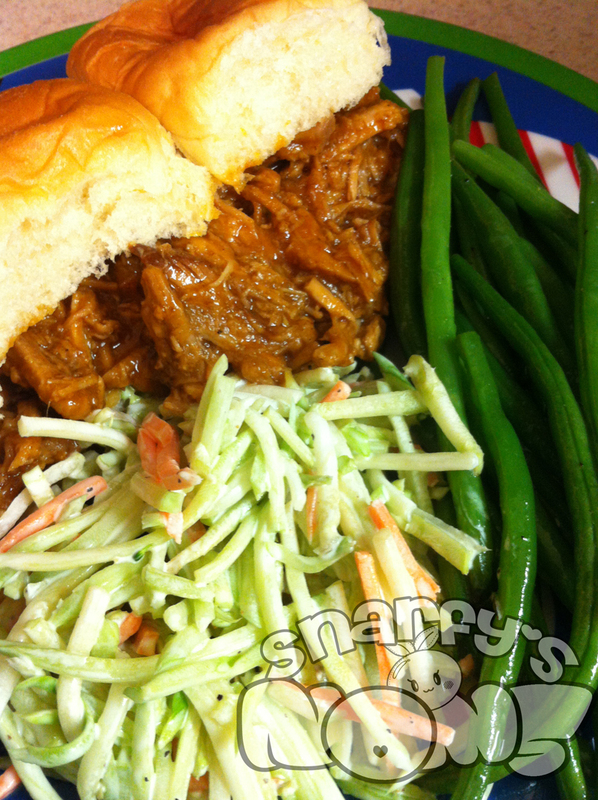 And just for good measure, here’s a pic of the pulled pork sliders, broccoli slaw, and green beans. I don’t know how Arc ate it all, but I do know that he had a serious food baby afterward.